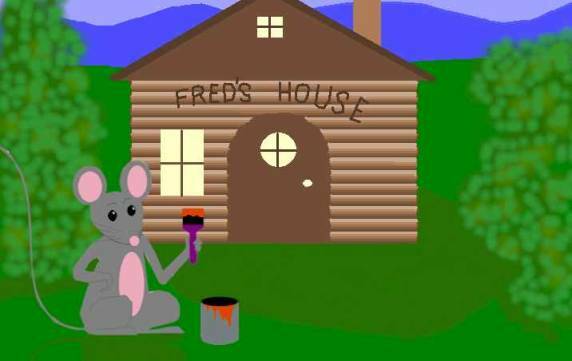 Who wanted to paint his mouse-house red. 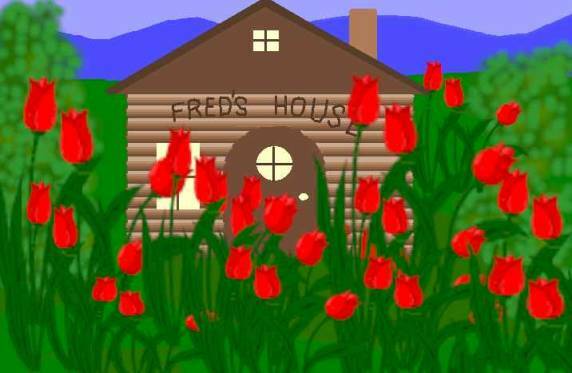 "Oh please don't paint your mouse-house red, Fred! If you do then you could lose your bed! And come on over and take your bed!" "Don't want that kitty to take my bed! I like my bed!" that little mouse said. "We sure don't want you to lose that bed." "We'll help you plant red flowers instead!" And planted seeds behind and ahead. Round and round the animals sped. Then they all went home and went to bed!